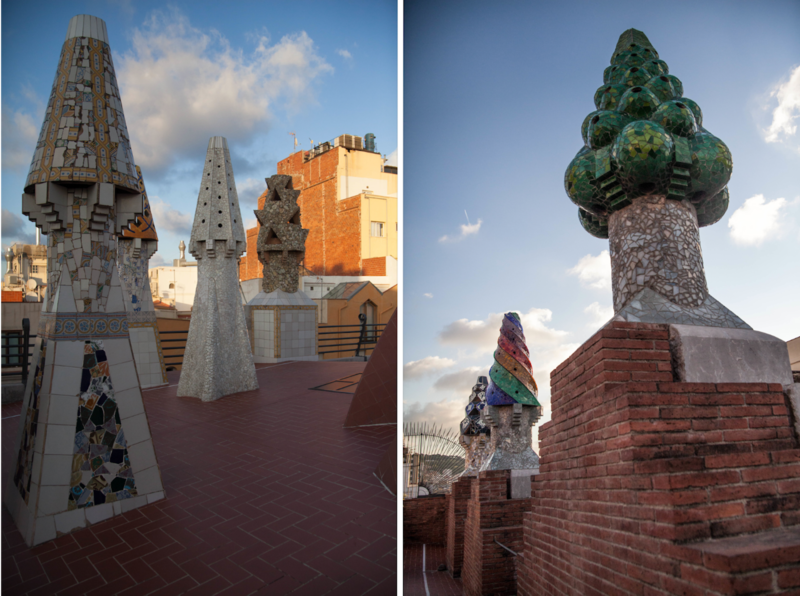 This is my last Gaudi post. 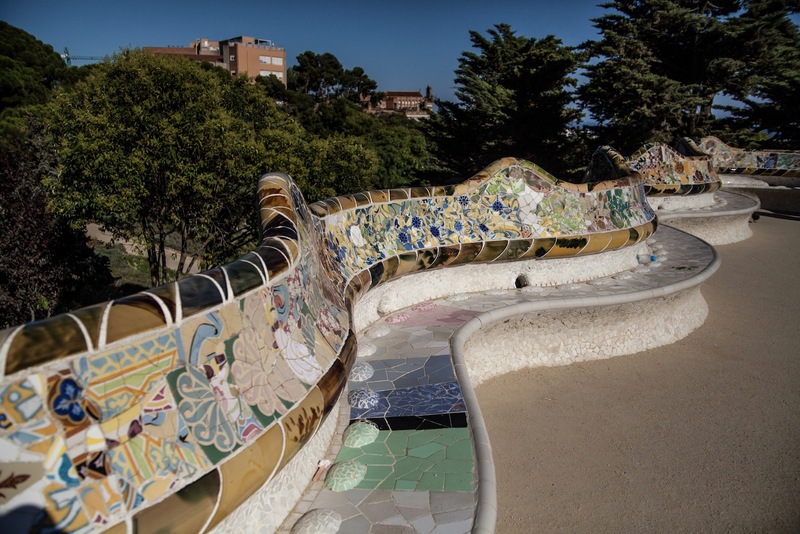 Eusebi Guell belonged to one of the big families of Barcelona who recognized Gaudi’s talent early in his career and the two became good friends and had many years of working together. 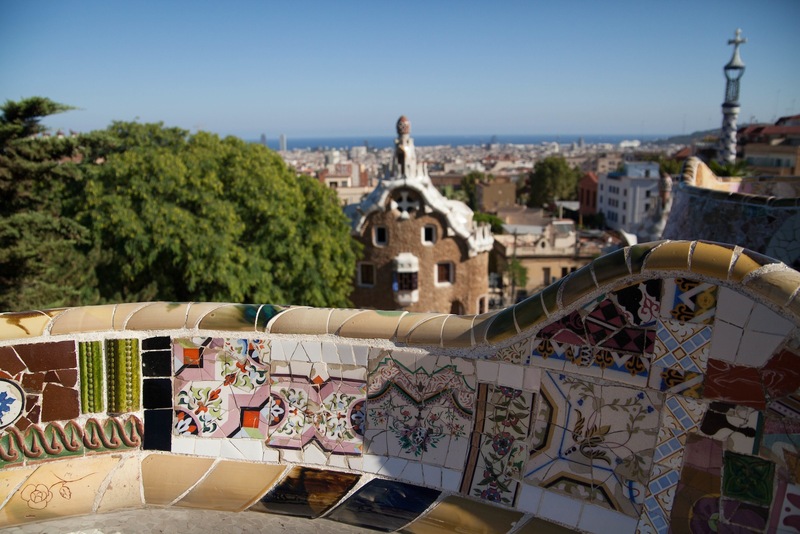 As Gaudi’s patron, Guell funded many of the great buildings built by Gaudi including Park Guell which was intended to become a high-end housing complex and Palau Guell which was his personal home for some time. 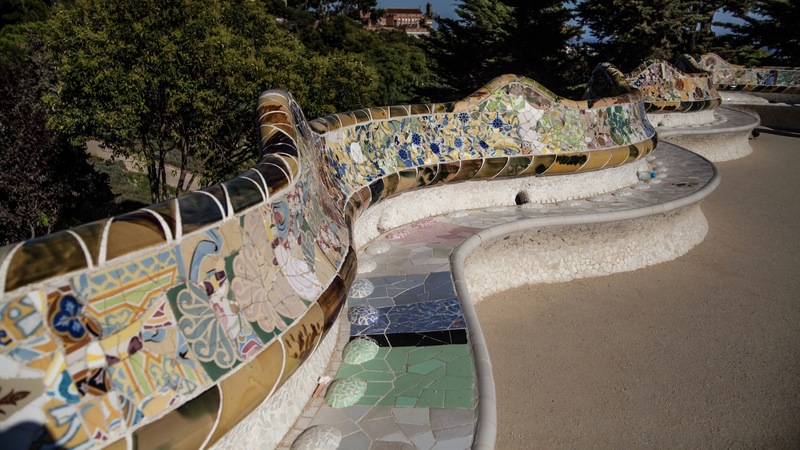 Park Guell is such a beautiful space to hang out on a good day where Gaudi showed off outdoors space and landscaping. It’s situated north-west of the city with an elevation that gives it wonderful views of the rest of the city all the way to the mediterranean. 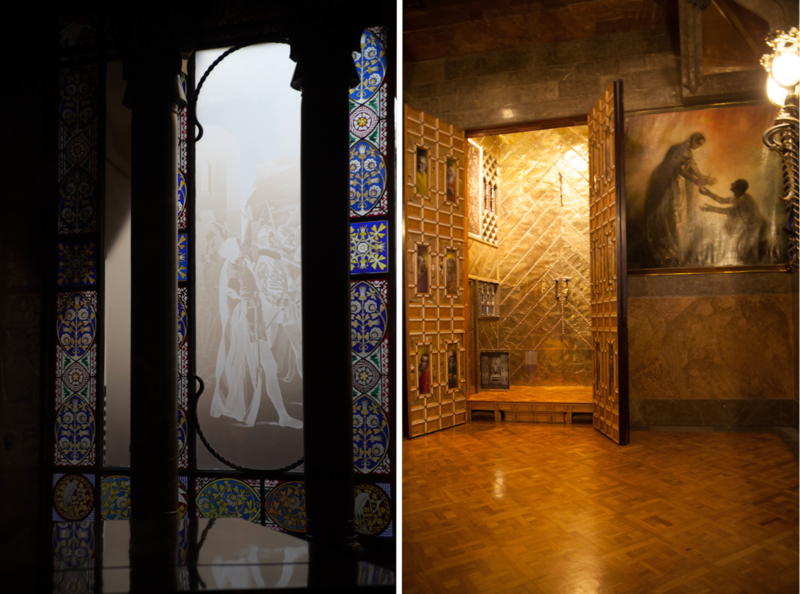 So much of the space shows off Gaudi’s mosaic work of which of many of the photos I took and included here. Of course it’s hard to ignore the organic lines and shapes he uses all throughout. The seating all around follows the curves of a moving snake. 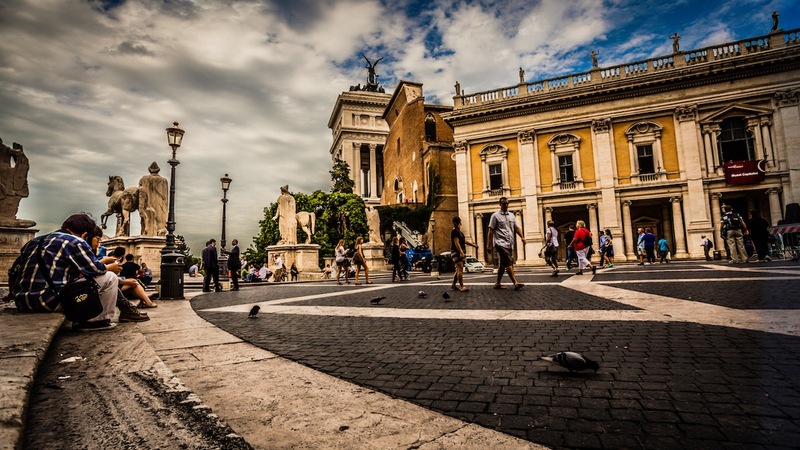 This area is an open space where you can walk around and sit enjoying different scenes of the city. The open space is raised by columns. 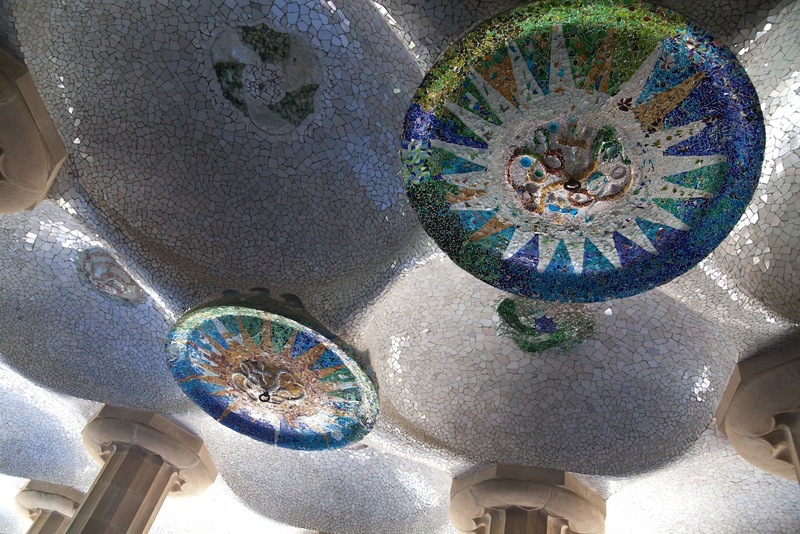 There too, Gaudi uses columns to resemble a forest and the beautiful mosaic work reflecting starry skies. 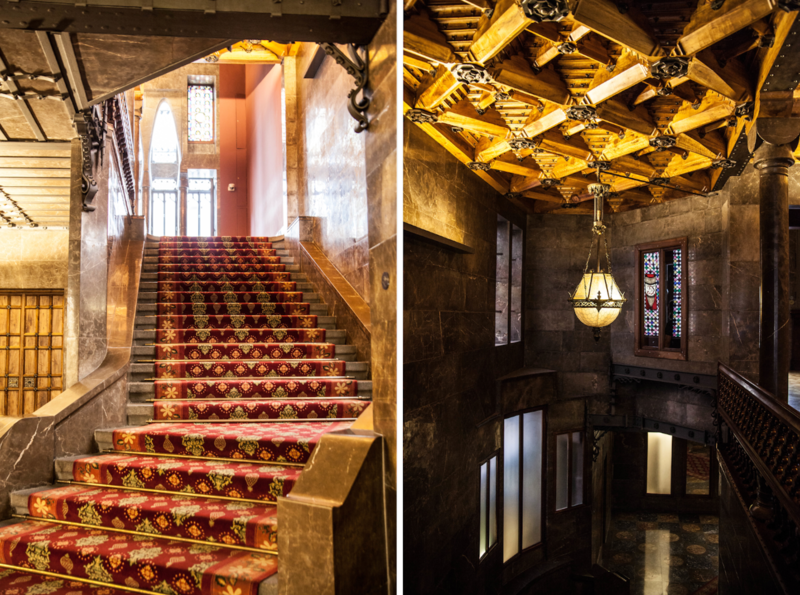 Palau Guell is one of Gaudi’s early work and is absolutely spectacular. 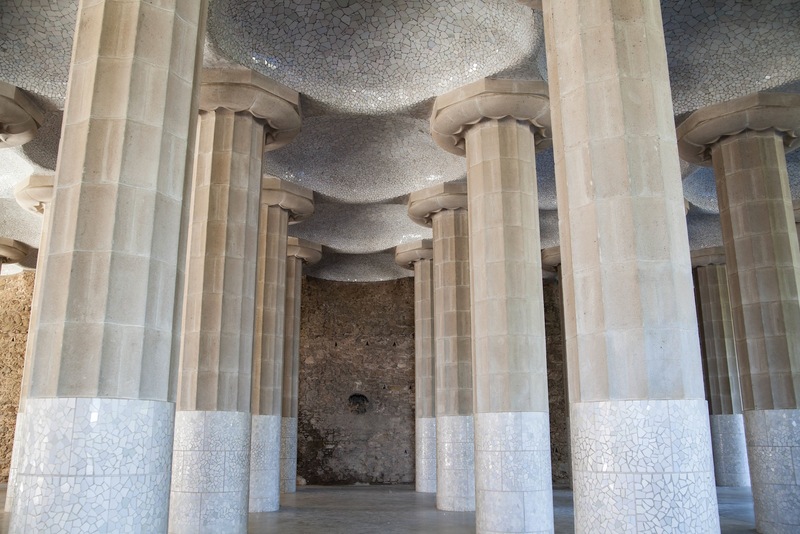 Gaudi worked with a lot of space limitations which pushed him to innovate so much including having an underground ‘garage’, which is very innovative for the time! You notice strong Islamic architecture influence! 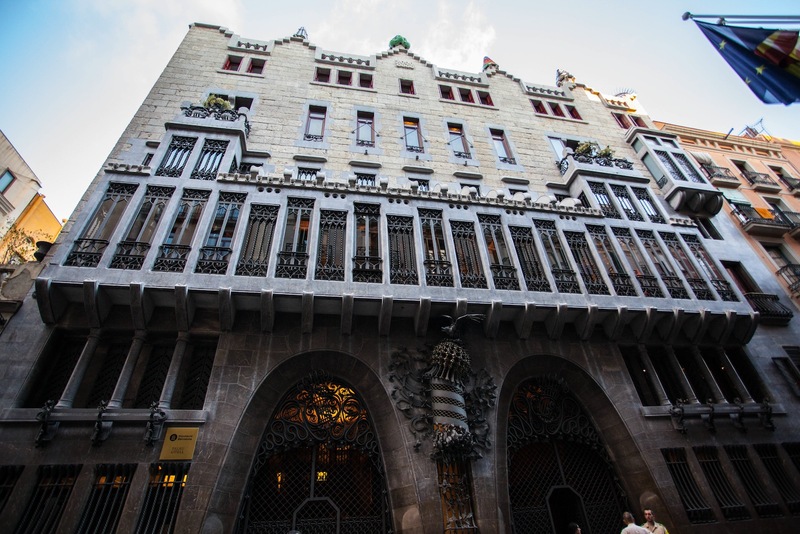 You notice also that the design of this building is more classic than Gaudi’s newer designs. This structure is such a piece of art — each room has its own special feel. The house is designed for entertaining with even a special place for a small orchestra overlooking the main hall. The ceiling of the main hall is stunning! 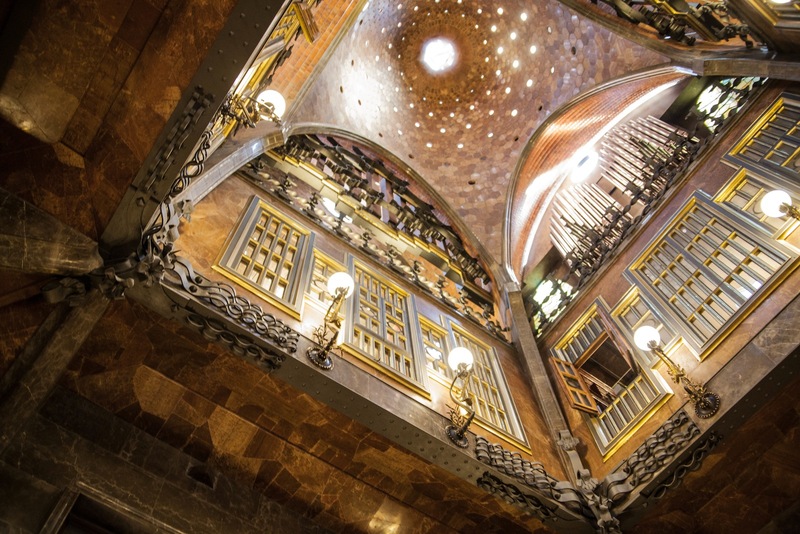 Gaudi starts to bring in elements from nature, showing off what seems like star-filled skies. Those windows on top allow family members who are not directly participating in a hosted event, to observe from the second floor. 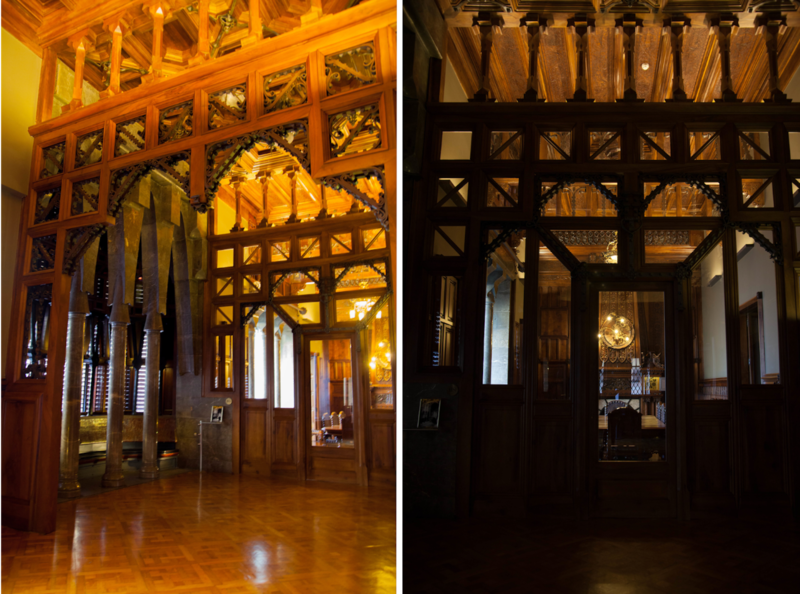 You can clearly see Islamic architecture principles all throughout this space with the unique woodwork and the arcs. 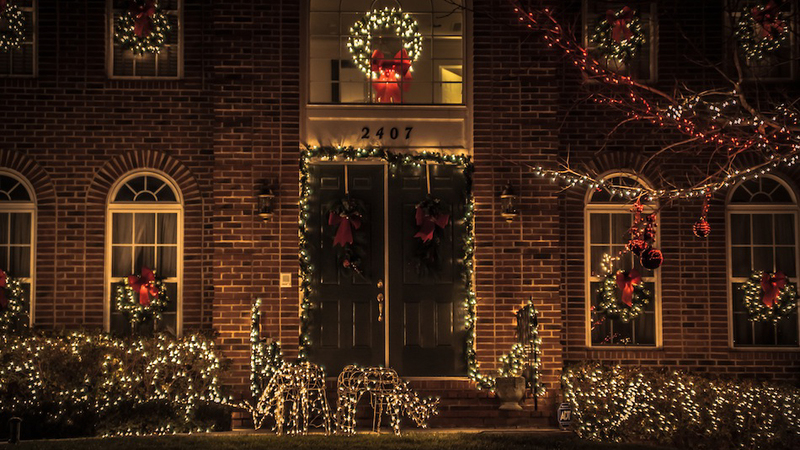 And the attention to detail in every part of the house is amazing. These two areas caught most of my attention. This window is so beautiful and is the highlight of this small area that has a grand piano. And the grand hall is just magnificent with it’s stunning golden walls that lend grandeur to any event in this space, small or large. And of course there’s the roof and the whimsical tree-like chimneys on top. I would have loved being a kid growing up in this house and running around on the rooftops.